For Julie and I, 2017 can best be described as the year of road trips and National Parks. 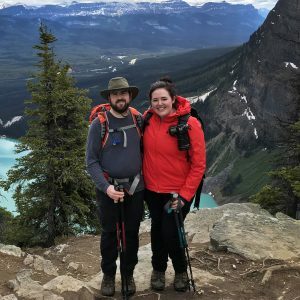 With the beginning of fall finally here, and summer slowly moving out of sight, we have visited five National Parks to date. With the year not quite over with yet, we hope to squeeze in one or two more trips before the calendar flips to 2018. It’s hard to say that we have anticipated visiting one park more than others, because each is special and unique, but there are certainly those that are higher on our list. Anticipation for this trip to Grand Teton and Yellowstone National Parks had been in the works dating back to 2012 when Julie and I first met, and we started planning it over a year ago, so it was safe to say we were excited for August to finally be here. Plus, we were ready to get on the road and back into the mountains! Our initial plan had been to visit the parks during the famous solar eclipse, but we were forced to shift gears when my new job moved us to the Bay Area at the beginning of the year. Though we weren’t able to visit the parks for the reasons we had originally planned, we still eagerly anticipated the trip and were itching for a new adventure. 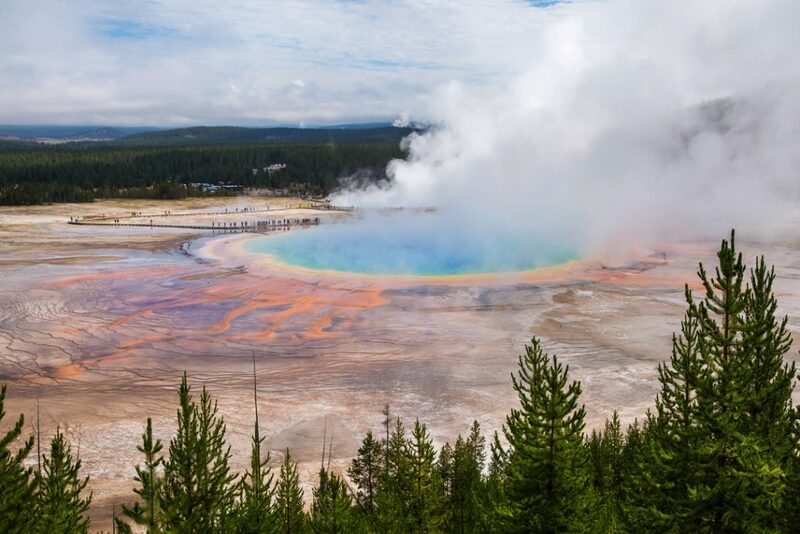 Having just made a last minute drive to Crater Lake National Park a few short weeks earlier, our focus was now squarely on the Wyoming road trip. On this particular adventure, we knew we were going to be on the road for quite some time. Before driving out to Wyoming, we first stopped in Southern California to visit family. From there, we headed to Provo, Utah for one night to break up the drive, and then continued on to Wyoming the following day. As much as we love long road trips, we love them even more when the scenery is beautiful (see: Alberta, Canada). Much of this road trip however, took us through desert landscapes with high temperatures and not much to see. For those such instances, we always make sure to have a well stocked playlist to keep us awake, and plenty of snacks and beverages! 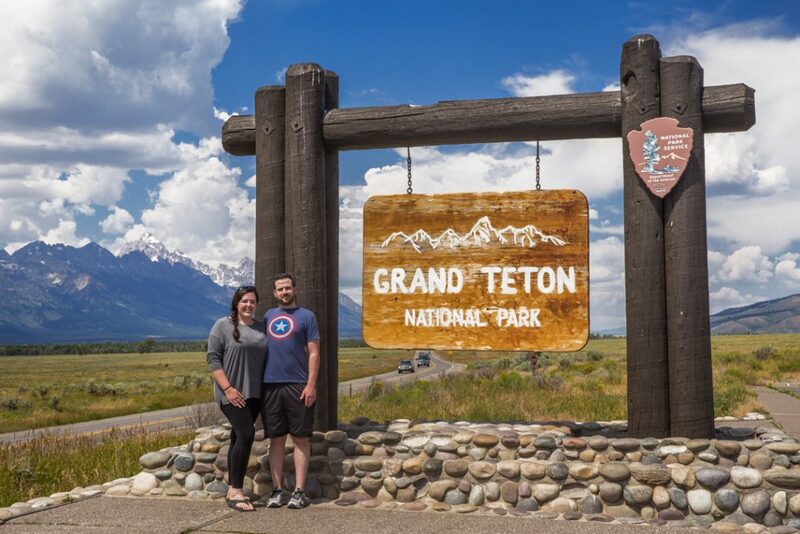 Heading into this trip, our intention was to split time between Grand Teton and Yellowstone National Parks. Arriving on Monday, we checked in at our lodge, Headwaters at Flagg Ranch. 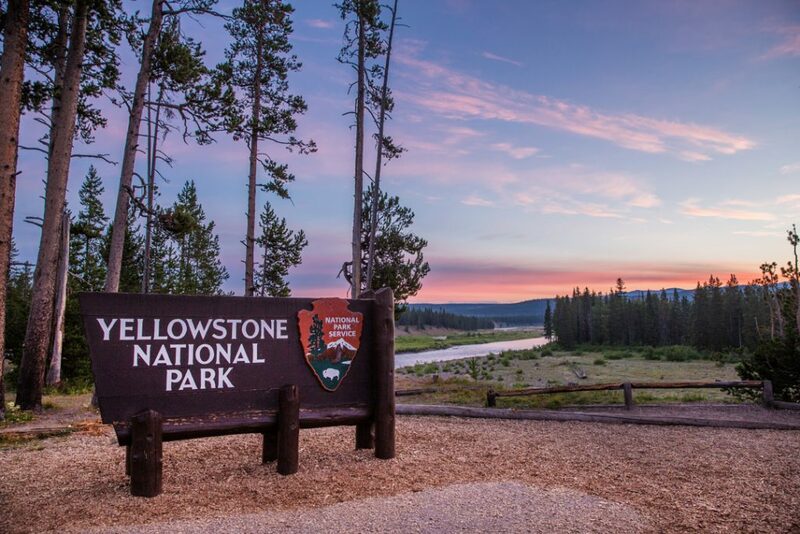 The lodge is located between the two parks, and about 2.5 miles from the South Entrance of Yellowstone. Flagg Ranch is an interesting place. While they advertise as being in between both parks, they aren’t really close to either. Being a short drive to the South Entrance to Yellowstone is nice in theory, but you’re still another hour drive to Old Faithful, and about 50 minutes to Jenny Lake. A stay at Flagg Ranch also means you’re going to be completely off the grid. If you want a place that lets you truly disconnect, this is the place you want to stay. No cell service, no Wi-Fi, no televisions, away from it all, except the mosquitoes who are of course, everywhere! The cabin we stayed in was a Premium King, which is the largest option they offer. It included a private bathroom, fridge, microwave, patio rocking chair, and two entrances. As is common with National Park lodges, our room didn’t have air conditioning, but it did have a small fan that we ran throughout the night. During our visit in the heart of summer, the mosquitoes were out in full force (a theme on this trip! ), so we did our best to keep them from entering our room, leaving the screen slider closed. On one evening, we dined at Sheffields, the park’s on-site dining option, with mixed results. Julie’s fish was underwhelming, but my burger was good, and the beers were cold. Based on the price and location, our overall experience at Flagg Ranch was just okay. For a future visit, we would likely opt to stay somewhere within each park to cut down on some of the drive time. Over the back end of our Wyoming adventure, we stayed in Wilson, just outside of Jackson, at the Bentwood Inn. 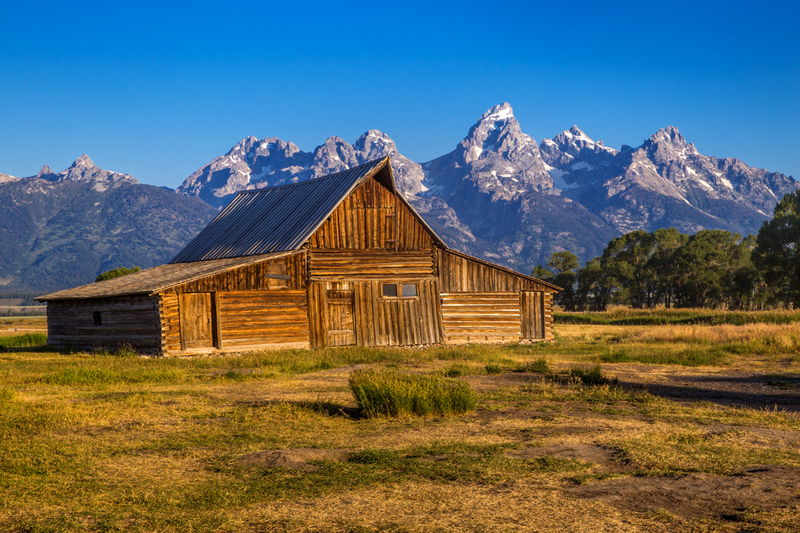 Similar to our stay at Flagg Ranch, the Bentwood is a bit of a drive to many of the highlights of Grand Teton, but you are much closer to civilization. While not perfect, the Bentwood had significantly better cell service, Wi-Fi (albeit not the fastest), and a small television which we never watched (but it was an option!). The Inn has five primary rooms, or a total of seven if you buyout the whole place. Included in the price are comfortable guest rooms, each with their own private bathroom, breakfast, and evening hors d’ouvres with wine. Overall, we had a great stay at the Bentwood Inn thanks in large part to the hospitality of our Innkeeper, Bob. He made sure we had everything we needed and helped make our wedding weekend a memorable one. With so much to see and do between the two parks, we were excited to get out and explore! 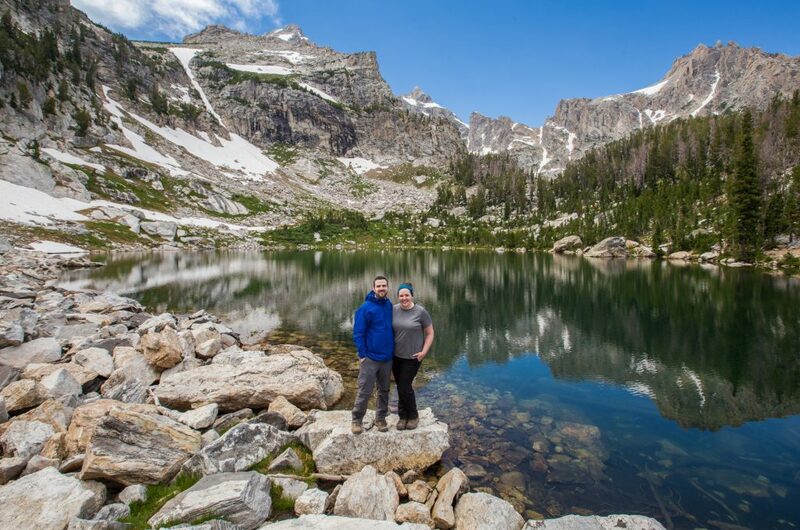 Have uou been to Amphitheater Lake? 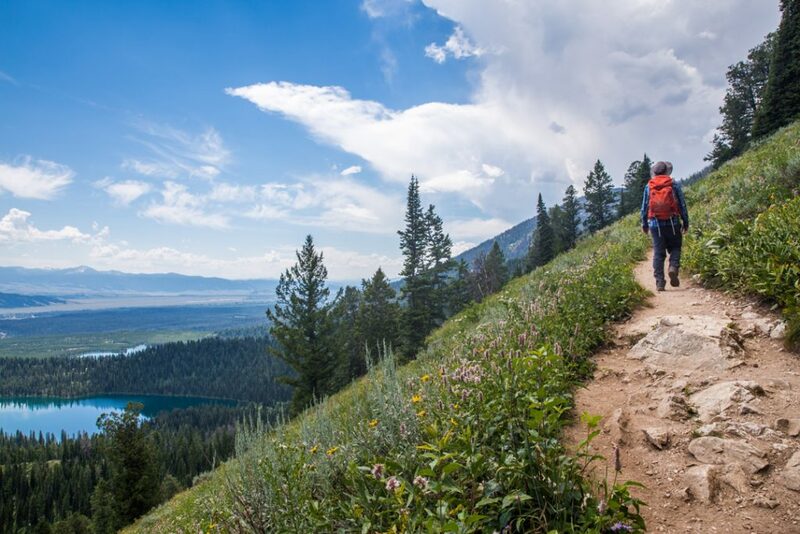 Let us know about your hike in the comments below! Nice intro. I look forward to reading about the rest of the trip. Julie’s photos are beautiful as usual. Thank you Keng! We are excited to share more soon! 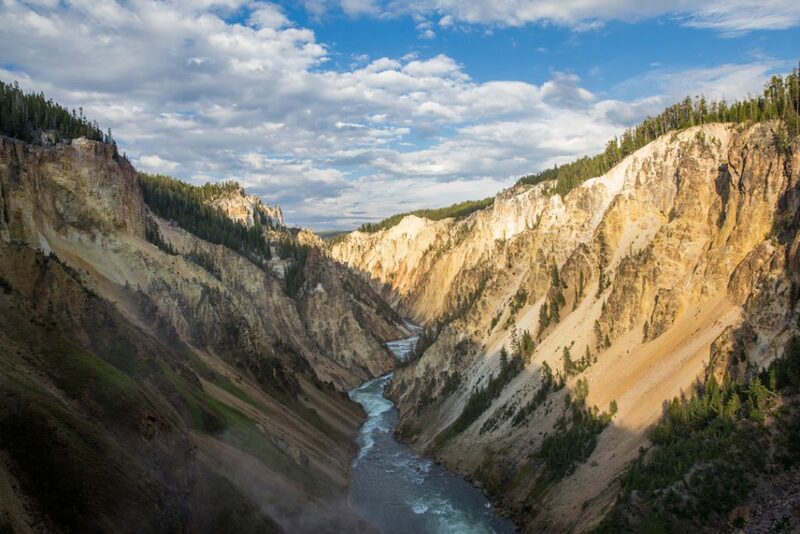 I really want to visit Yellowstone, haven’t been! You definitely need to visit! It’s all kinds of fascinating and there’s so much to see and do.